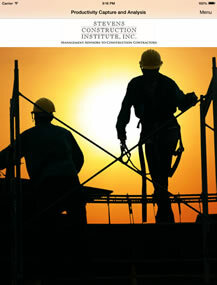 From the author of "The Construction MBA" (512 pages) and "Managing a Construction Firm on Just 24 Hours a Day" (416 Pages) comes app structured to capture accurate field productivity on an individual or crew basis. 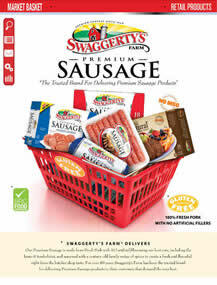 The Swaggerty Farms Retail Office iPad application is a complete company wide digital resource for all retail product information. 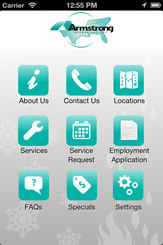 Application co-developed with Biz Eight Multimedia Marketing, LLC. 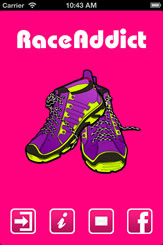 RaceAddict is an easy to use app that enables you to track your upcoming and previous races in one location. 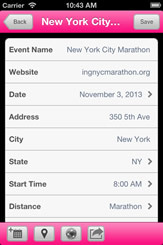 Record your upcoming race information, including start time, location, date, and distance. 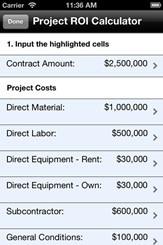 From the author of "The Construction MBA" and "Managing a Construction Firm on Just 24 Hours a Day" comes an effective mobile app for today's construction environment: The Cost to Complete Analysis Calculator. 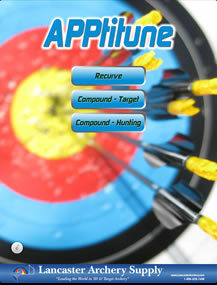 The World's First and most comprehensive archery setup and tuning guide ever available on a mobile platform. Covering Recurve, Compound Target and Compound Hunting. Armstrong Air and Heat has more than 35 years of experience in the HVAC business, providing both commercial and residential cooling and heating solutions. 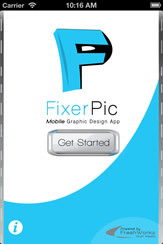 Design "On The Fly" with FixerPic Mobile App. The app features high-end, pre-made backgrounds for you so the "hard" part is done. It's as simple as adding text, photos/Pngs and filters to the background of choice. 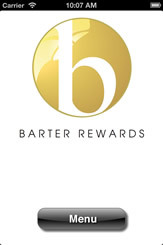 Barter Rewards markets your company to hundreds of local businesses and thousands nationally - potential customers, over and above your daily cash-paying customers. 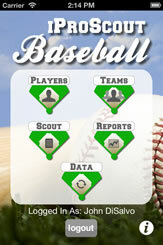 The iProscout Baseball App enables Professional Baseball Scouts, College Recruiters, Scout Team Recruiters and anyone interested in evaluating baseball talent to enter the information directly into the New iProscout Baseball Scouting App on their iPhone and iPad. 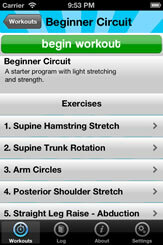 Modern Fitness is an easy to use and hassle free workout app for iPhone. 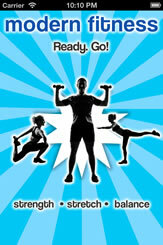 The app includes 14 workouts and 99 exercises. The workout interface, timed exercises, and music player make it the perfect fitness app. 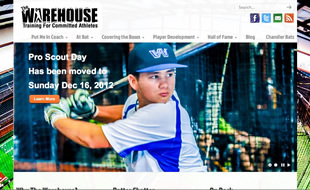 Founder, Dante Bichette took what he learned about getting his work in during a 15 year MLB career and turned it into a personal hitter�s paradise, known throughout Orlando Florida as �The Warehouse�. 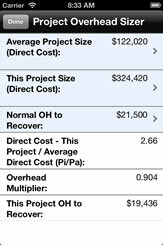 From the author of McGraw-Hill's, "The Construction MBA" and "Managing a Construction Firm on Just 24 Hours a Day", comes an important calculator for adjusting overhead to the size of a project. 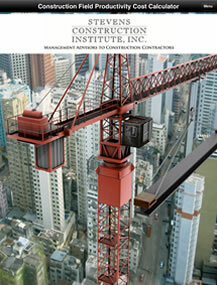 In construction, ROI is an odd concept. It is one that is unusual since we have unique economics. 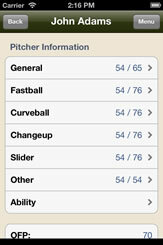 Here is an app that makes the calculation simple. At Orlando Sports Medicine Group we treat a variety of orthopedic, sports and work and related injuries. 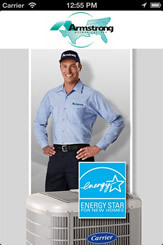 Our mission is to provide you with unmatched service, expert care and outstanding results. 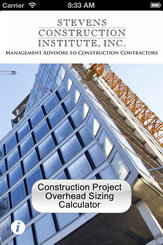 The Labor or Cost versus Physical Progress Calculation has to be viewed as a critical metric for any contractor. Our app has both to use. 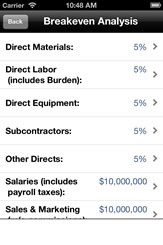 It measures what is produced and billable for the effort and cost expended. This simple metric largely determines profitability on each job and in total, for each company. 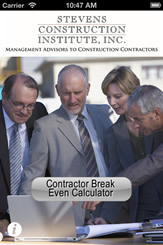 Break even volume is a critical number for every contractor to know and manage by. 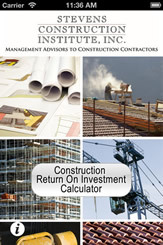 Since there are both fixed and variable costs in the construction business, it is a complex but, critical equation to calculate. DiSalvoTech is your Orlando source for app development. We can design, develop, create, and test your custom iPhone and iPad application. 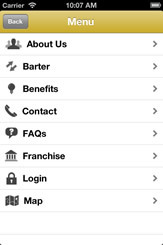 We provision phones, create certificates, and submit the applications for approval on the iTunes App Store. We do a wide range of iPhone and iPad application development. Hire DiSalvoTech as your personal iPhone or iPad project consultant. There are many complex steps to creating and launching iPhone and iPad applications. We're experts at the process and can easily assist every step of the way. 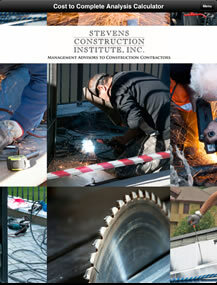 DiSalvoTech adds the personal touch that many customers are looking for when creating a new website. Our proven process includes a detailed consultation, custom graphic design, site structure selection, and dynamic content management. Monthly support plans are also available. DiSalvoTech offers monthly and annual website hosting plans from $10 per month. Server tools include PHP, Webmail, MySQL, SFTP, and much more. Using the Debian Linux Operating System and vServer management technology allows us to provide our clients with a fast, secure, and modern platform. DiSalvoTech is an Orlando based Information Technology company that offers a wide variety of services. From simple website revisions to complete site designs -- we cover it all! Services Provided by DiSalvoTech: Web Hosting, Web Design, Database Development, Online Office Solutions, Search Engine Optimization, Consulting and much more. For customers looking for complete web support we provide: domain name purchase and registration, web server setup, site creative and design, site development, custom database connections, custom web applications, Flash development, search engine optimization, click tracking and much more. Orlando Web Design Done Right! We also build iPhone and iPad Applications. We can design, develop, create, and test your custom iPhone and iPad applications. We will even help provision phones, create certificates, and submit the applications for approval on the iTunes App Store. We do a wide range of iPhone and iPad application development and Consulting. Get to know us if you're looking for your own personal "IT Guy". We also configure networks, setup printers, remote monitor servers, make custom ethernet cables, manage email accounts, and manage web servers. Rely on us to be familiar with all of your technical computer data, video, and audio conenctions: USB, Firewire, Serial, VGA, PS2, ethernet, phone, gigibit, fiberchannel, optical, component video, composite video, analog audio, digital audio, and much more. Having problems with your Mac or PC? We also troubleshoot problems with operating systems, software, hardware, hard drives, and peripherals. We know all the ins and outs of MicroSoft XP and Mac OS X. We specialize in the design of custom database driven web based applications. Ask about our Online Office Solutions! Take your office with you everywhere using a modern phone with a robust web browser!